In Florida, child support is a right belonging to the child, and parents cannot contract it away, nor can the parent’s acquiescence to non-payment of fit. If you are going through a divorce or have a child outside of marriage and have concerns regarding child support, the Tampa child support lawyers of All Family Law Group can provide experienced legal help to advise you on the law. Our child support attorneys and legal assistants gather information regarding your income and other statutory factors to determine your child support obligation, if any. We work with both the mother and the father to resolve child support issues. The Florida child support guidelines largely dictate the amount of the support obligation, if any. Specifically, the information provided by you and your spouse in your financial affidavits and other sources will determine your net income. The net income of both parties is inserted into the child support guidelines worksheet, and the calculations of child support are part of a formula including the number of minor children and the overnights each parent spends with the children per year. Also, included in the guidelines is the cost of the health and dental insurance premium paid on behalf of the child, as well as childcare expenses. Your income and the amount of time sharing you have with your child influences whether you will pay child support to the other parent. Beginning January 1, 2011, the statutory child support obligation is reduced if a parent has 20% or more timesharing of the child. Prior to this revision, a substantial amount of time for child support determination purposes was 40% of the time. This applies to new cases filed after January 1st and cases which are subject to modification. Are you facing a possible child support obligation or are you in need of child support? It is in your best interest to obtain experienced legal help to assist you in resolving your child support issues. Call 813-672-1900 or e-mail the Tampa child support attorneys at the law firm of All Family Law Group to start your free initial consultation. Child support in Florida is governed by Florida Statute §61.13. In general, child support is a dual obligation imposed on both parents by the state. Typically, the parent with the most time-sharing is the parent who receives monetary support while the parent with a minority of the time-sharing pays the support. However, if one parent has a substantially higher income or time-sharing is relatively equal, the child support will be adjusted to reflect this. Furthermore, if neither parent has custody of the child, both parents may be required to pay support to a third-party caring for the child. Child support in Florida will terminate upon the child reaching 18, or 19 if the child has not yet graduated high school, if the child becomes emancipated, or if the child dies. There is no obligation to support a child after the reach the age of majority; however, the termination of an ongoing obligation does not terminate obligations to pay arrearages or retroactive support. It therefore stands to follow that there is no obligation to pay for college tuition or college expenses for a child who has reached the age of majority. In some instances, child support can extend past the age of majority if the child has a physical or mental disability. This incapacity must exist prior to the child turning 18 and is determined by fact-finding. While child support is typically paid to the parent, the right to receive child support is actually the right of the child. Florida has a strong public policy to require parents to financially support their children. It is a common misconception that child support can be waived. Since child support is the right of the child, a parent cannot waive or acquiesce to nonpayment. Child Support usually includes a basic monthly obligation, health care coverage and child care costs. The amount of the basic monthly obligation is determined based on the combined net monthly incomes of both parents and the number of children involved.The Florida child support guidelines worksheet uses this figure to assign a minimum monthly support amount. The amount of support for each parent is determined based on their percentage of the combined income. Each order of support must also contain a provision for healthcare coverage if said coverage is reasonably available. The court will apportion the cost of the coverage including any non-covered medical, dental and prescription expenses on a percentage basis. In addition to resolving your initial child support goals, we may be able to modify or enforce post-judgment child support issues. If a final judgment was not obtained in Hillsborough County, then it may be possible to file it and domesticate it in Hillsborough County. 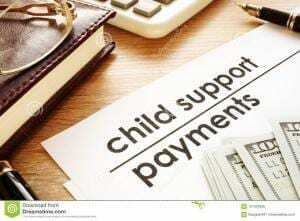 To modify a child support order, there must be a showing that there has been a substantial change in circumstances in either parent’s income since the original order was granted. A substantial change occurs when either parent’s income has decreased or increased, so that the difference between the existing monthly obligation and the new obligation amount, pursuant to the Florida Guidelines, has changed by at least 15%, or $50.00, whichever is the greater of the two. Furthermore, if the parent who is obligated to pay child support does not do so, or is behind in his or her child support payments, then a motion can be filed for contempt. If you have questions regarding child support contact the law firm of All Family Law Group, P.A. for a free initial consultation to discuss your situation. Contact our Tampa child support attorneys by email or call 813-672-1900. We will get back with you at our earliest opportunity!